Eleven of the world's Top 20 ranked nations come from the Americas (North-, Central- and South America, and the Caribbean); 8 nations, or 40%, come from Asia and Europe; one comes from Oceania. 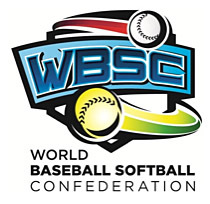 LAUSANNE (SUI) - For the first time in nearly five years, and since the implementation of the World Baseball Ranking system by the International Baseball Federation in 2009, there is a new leader in the world of baseball . A highly productive year by USA Baseball registered enough ranking points to surpass the previously top-ranked Cuba, which had reigned over the baseball world since the first rankings were calculated in 2009. Samurai Japan hit a new landmark with their highest ranking ever to second place, moving up the rankings ladder from third place. In 2013 tournament competition, the Samurai placed third at the World Baseball Classic and took the bronze medal at the 12U Baseball World Cup and then claimed silver at the 18U Baseball World Cup. Japan also fared well in internationally sanctioned head-to-head national team competitions to rack up rankings points, as the Japanese university team won three out of five games against the Team USA university selection in July, and only a few weeks ago, Japan bested host Chinese Taipei in all three of their "Baseball Challenge" match-ups.